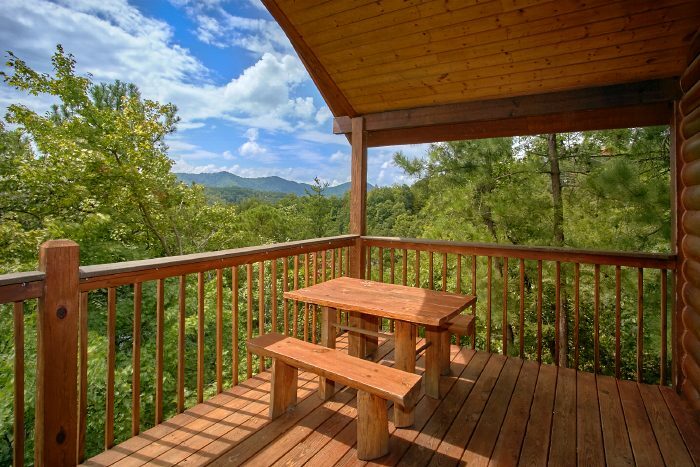 Headed to the Smokies for a romantic mountain getaway? Whether you're headed on a honeymoon, an anniversary trip, or simply a getaway to reconnect, no trip for just the two of you is complete without visiting one of the romantic restaurants in Pigeon Forge, TN. From a rustic country dinner to exquisite entrees, there's something to suite every couples taste in Pigeon Forge. Here's our guide to some of the best settings to have romantic dinner in the Smokies. Located in Downtown Sevierville, this hidden gem rests on a charming block of small shops and offers a quieter setting as it rests away from the hustle and bustle of the Pigeon Forge Parkway. This makes it the perfect spot for couples looking to enjoy a romantic evening together. 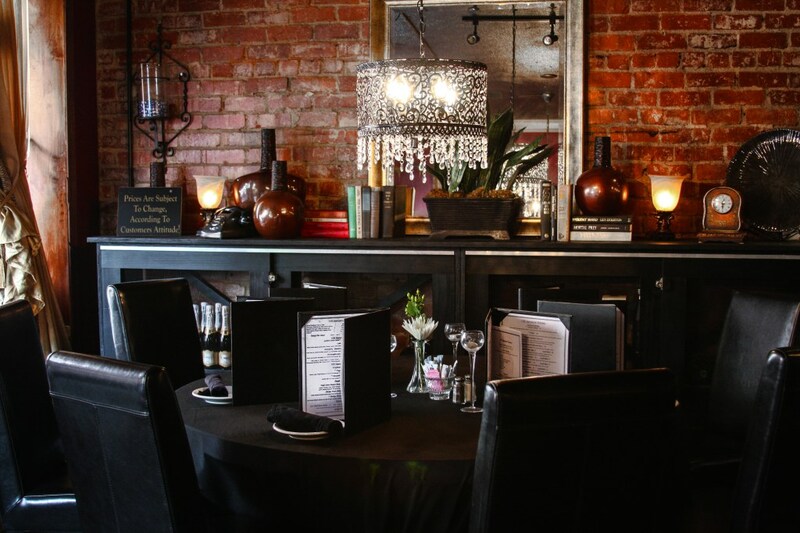 Inside, you'll find a dimly lit interior with dark furnishings, creating the ambiance of swanky speakeasy in the Smokies. 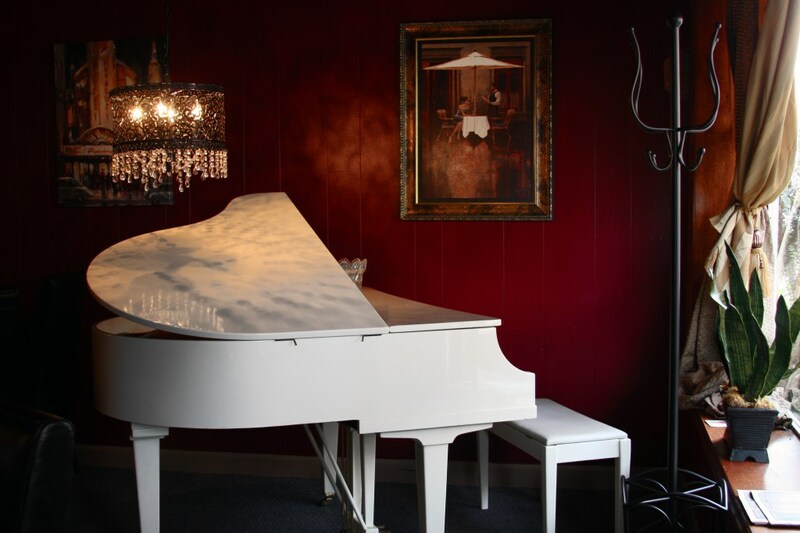 From the chandeliers to the baby grand piano, the setting alone is enough to impress any guest. Add on top of that live music from local artists and a stellar menu, and you have the perfect recipe for a romantic dinner. Maine Lobster Stuffed Ravioli- Tossed in a homemade tomato cream sauce this pasta is stuffed with delicious Maine Lobster. Maple Glazed Duck Breast- Glazed in maple syrup from Quebec, this organic duck dish is served with green beans and herb saffron couscous. Southern Caramel Pecan Chicken- This slow-marinated chicken coated with a blend of herbs and spices and topped with a caramel pecan glaze is sure to be your favorite. Enjoy sweet potato fries and mixed garden veggies. Frog Legs- You'll only be able to get this delicacy at this restaurant on vacation in the Smokies. We promise it tastes like chicken. Bistro 109 definitely offers the most unique romantic dining experience in the Smokies. 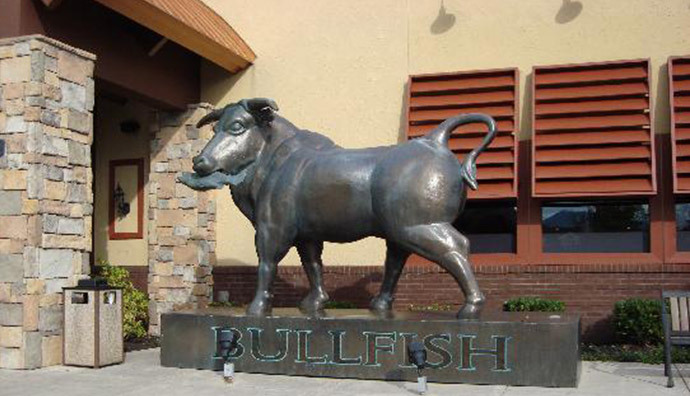 An area favorite, Bullfish Grill specializes in steak and seafood - the perfect entrees for an unforgettable romantic dinner in Pigeon Forge! This restaurant also features a lengthy drink menu and several signature cocktails for the perfect pairing with your meal. After dinner you cain enjoy a sweet treat with a slice of strawberry cake or a two-layer key lime pie. Pistachio Encrusted Trout - Lightly breaded in pistachios, this fresh trout dish is topped with Siracha herb butter and served with a wild mushroom rice pilaf and steamed broccoli. Slow-Roasted Prime Rib - Aged prime rib served with au jus and creamy horseradish sauce - this dish is sure to make your mouth water. Grilled Cilantro-Lime Chicken - A zesty classic served with a wild mushroom pilaf and steamed broccoli. This restaurant is located on the Pigeon Parkway, so it's the perfect spot to enjoy a romantic dinner after a day spent enjoy shopping at The Island, a day at Dollywood, or after a zip-line adventure. Looking for a more rustic romantic evening? The Pigeon Forge classic, Applewood Restaurant, offers guests a chance to dine in a farmhouse setting and enjoy country classics for a romantic meal in the mountains. The interior of this restaurant offers a homey vibe and can get a little cramped, so you may want to call ahead for reservations. Get to the restaurant and little early and you can explore the shops and attractions nearby. By delicious apple butter at The Apple Barn to take home for your own treats. 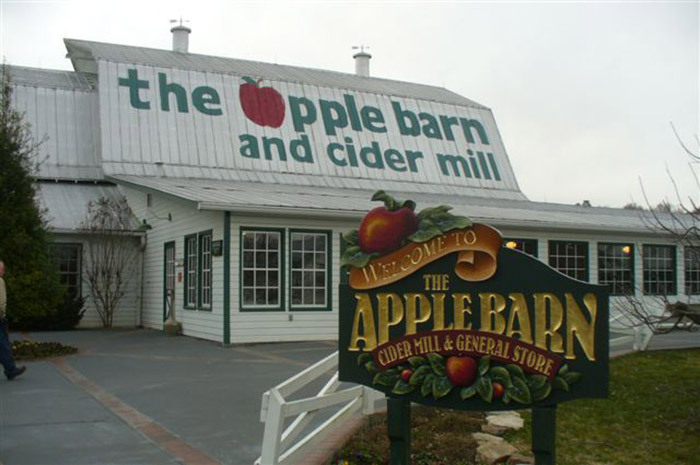 Enjoy a romantic wine tasting at The Apple Barn winery, which features sweet apple wines. Applewood Julep with Apple Fritters- Every meal comes with a complimentary glass of famous delicious Applewood Julep and Apple Fritters for a delicious start to your meal. Apple Julep Chicken- Chicken marinated in apple julep, lightly seasoned, grilled, and topped with apple relish - this is sure to be a tasty treat for your romantic dinner. Sugar-Cured Ham- A thick slice of sugar-cured ham grilled until caramelized for a classic country dinner. 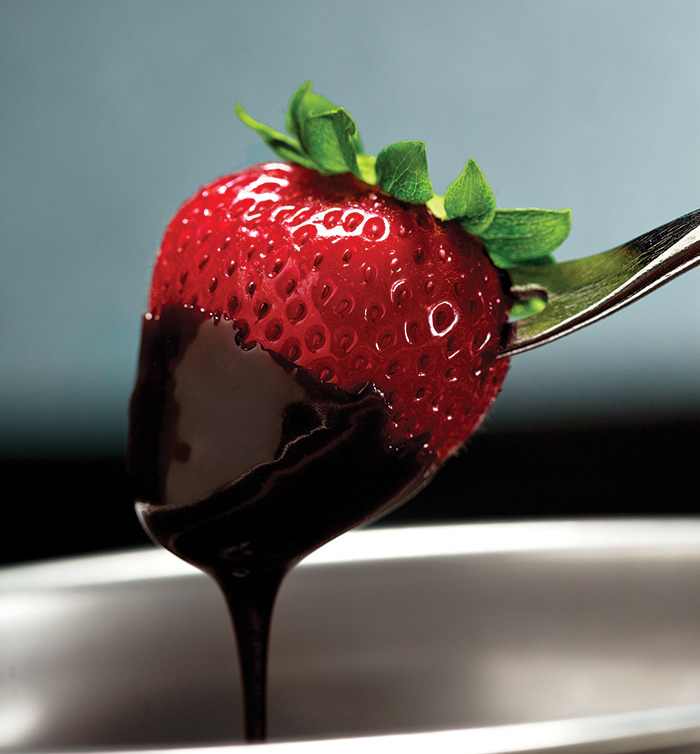 Located in nearby Gatlinburg, The Melting Pot is a great choice for a romantic dinner over fondue. Take your sweetheart out for a 4-course meal they'll remember. You can enjoy choosing from different styles of fondue for a unique dinner experience. Loaded Baked Potato Cheddar Cheese Fondue - Made with aged cheddar, Emmenthaler, potatoes bacon, and scallions. Wisconsin Wedge - Salad with gorgonzola, smoked bacon slices, and homemade peppercorn ranch. Main Entrée- Your choice of cooking style with Memphis-Style Dry Rub Pork, teriyaki marinated sirloin, shrimp, and more! Before or after dinner you can enjoy walking around Downtown Gatlinburg for a romantic evening to remember. From shopping in The Village to looking out at the mountains from the Gatlinburg Space Needle, this mountain town is the perfect setting for an evening of romance. Why not skip the crowds and cook your sweetheart their favorite meal at your Pigeon Forge honeymoon cabin? With full-kitchens, you can cook whatever meal you imagine in your cabin retreat. After dinner, you can relax in the soothing waters of your hot tub, lounge by the warm glow of your fireplace, enjoy breath taking mountain sunsets from your deck, or take a romantic bath in your jacuzzi tub. Opting for a romantic evening in at your cabin offers the chance to enjoy a comfortable, private dinner for two. Whether you choose to stay in at your cabin or choose one of the best romantic restaurants in Pigeon Forge, TN, you're sure to make unforgettable memories with your sweetheart in the mountains when you plan a romantic dinner for you Smoky Mountain vacation. The Smoky Mountain's biggest attraction is getting even bigger! With Dollywood's expansion in 2019, you'll get to enjoy a new, magical world that brings back the feeling of a child's walk through the woods.